When I first saw the cover for Jinxed, I was instantly sold. I didn't know anything about the book, but I knew I wanted to read it. I've been a huge fan of horror novels ever since I was a kid, so I was definitely excited about the opportunity to review Jinxed for this tour. And let me tell you, I was not at all disappointed with it. Jinxed is set at a performing arts school on a secluded island. 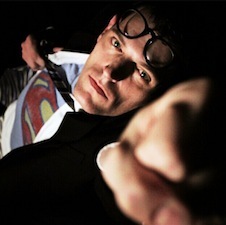 It starts with a scene set in the past, then fast-forwards to the here and now of the story. We meet Layna and her group of friends as they discuss the superstitions and wild rumors that surround their school. It's all in good fun...until the murders start. As Layna's friends start getting picked off one by one, she has to try and uncover the truth before it's too late. Who is killing her friends, and why? 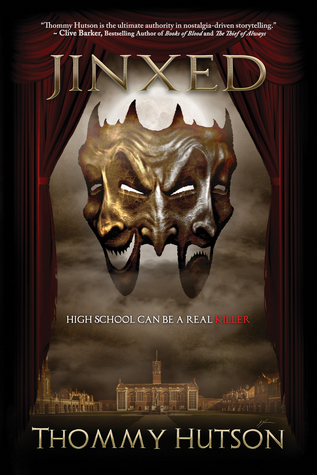 Jinxed is definitely a fun whodunit sort of mystery that reminded me a lot of Scream. There are some graphic descriptions in the story, so for those who have weaker constitutions, you may want to proceed with caution if you decide to read this book. I enjoyed the characters, and I thought they were fleshed out well enough. There are characters you'll find yourself getting attached to, and then there are some that will make you say, "hmm..." Are they the same characters? Perhaps. But I won't spoil anything. The plot is very well paced. I sped through the book, mostly because I loved it so much. It sort of brought back some of those memories from my teenage years when I was obsessed with Fear Street and Christopher Pike novels. Jinxed is sort of along the same vein as those books, at least in my opinion. I really, thoroughly enjoy Jinxed. It had me on the edge of my seat, eagerly scrolling through the pages to see what would happen next and how the story would end. I don't think I've read through a book that fast in a long while. It had me so anxious at times, and that ending... whoo. That's all I'm gonna say. As a random thought to add in here, I was telling my fiance about the story after I finished it, and when I told him who the author was, he said the name was familiar. Then he realized it was because him and our one friend, who is a huge horror fiend, watched the Nightmare on Elm Street documentary Thommy did. He said they also watched the Friday the 13th documentary as well. So after discovering that, I may have convinced him to read Jinxed to see what it's all about. Anyway, if you enjoy horror that will keep you guessing, definitely give Jinxed a whirl. You won't regret it! Five very well-deserved stars! Highly recommend! Thank you so much for taking the time read the book. I am so glad you enjoyed it! And thank you for helping spread the word!